Re-opening the original Phillips house galleries this June allowed the curatorial team to create new dialogues between artists. 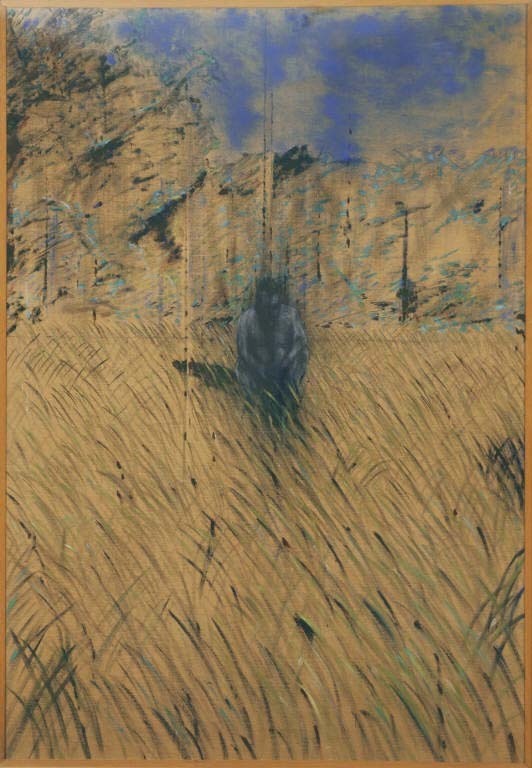 One of the more surprising, on the surface, is the side-by-side installation of Vincent van Gogh’s House at Auvers, 1890, and Francis Bacon’s Study of a Figure in a Landscape, 1952. Painted more than 60 years apart, these paintings would never be hung together in a traditional, chronological museum installation. Luckily for everyone, the Phillips was founded with the belief that works be hung in conversations with one another regardless of art movement, time period, etc. Bacon and van Gogh shared similar mental struggles that manifested themselves in their work. Their respective feelings of anxiety and alienation find parallels not only in subject matter but style. 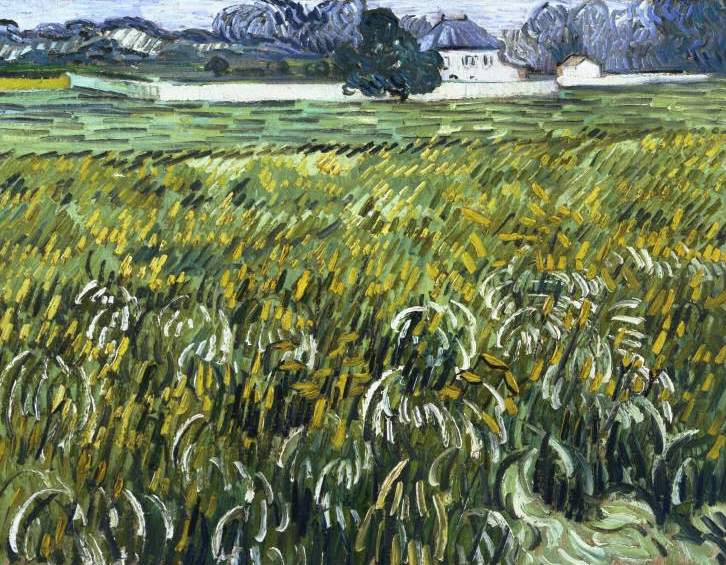 In fact, Bacon admired van Gogh, and it’s safe to assume van Gogh’s brushwork influenced this work in particular. The high horizon lines that draw your eye back into the pictures along with the staccato brushstrokes of the fields create an almost foreboding sense of dread. In van Gogh’s painting, it seems as though we will never reach the home across the turbulent field. The hope for safety (and, perhaps, sanity) lies in the walled-off home that is almost being pushed out of the painting’s frame, out of view. In Bacon’s, however, we are being pushed to confrontation with a crouching figure who appears to have just materialized like a hallucination. The open brushwork and the exposed, unprimed canvas leave us nowhere to hide. We are face to face with an embodiment of the artist’s anxiety and psychosis. Is the subject a predator, or someone seeking solitude? Both paintings seem to be paused in time, a snapshot of each artist’s travails, with no beginning and no end. 1) Jacob Lawrence painted all 60 panels of his seminal work The Migration Series simultaneously. To keep the colors consistent, Lawrence applied one hue at a time to every painting where it was to appear. 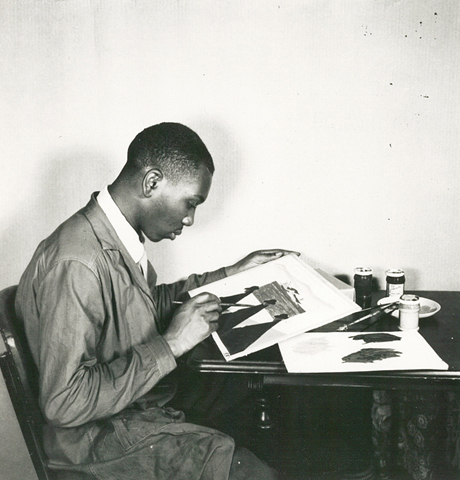 2) Lawrence became the first African American artist to be represented by a New York gallery when The Migration Series was shown at Manhattan’s Downtown Gallery in 1941. 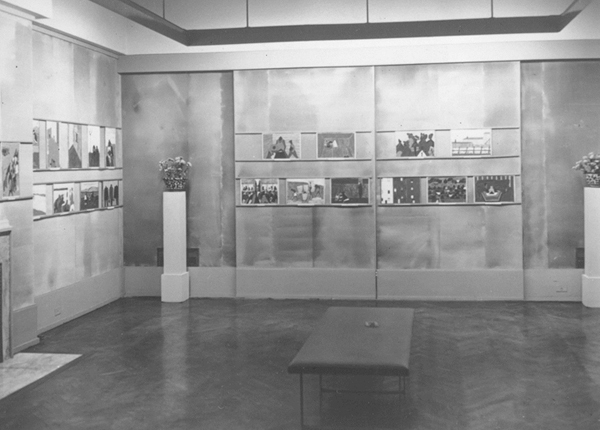 It was after seeing the works here that museum founder Duncan Phillips fell in love with Lawrence’s work, and gave the artist his first solo exhibition show in 1942. 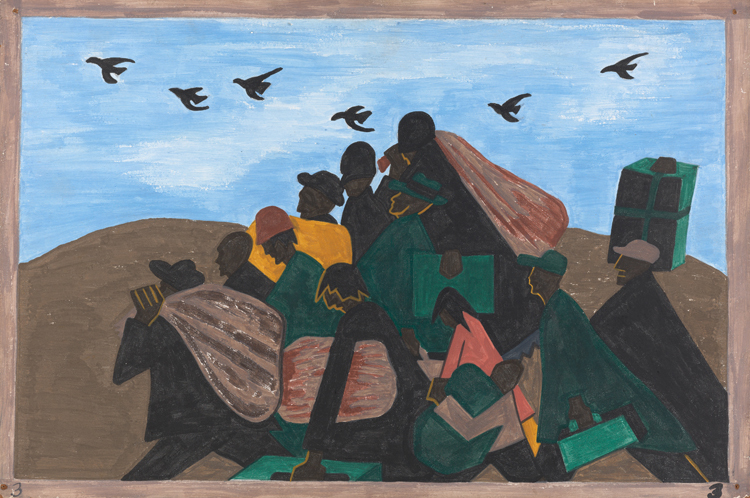 3) Jacob Lawrence was 24 years old when he painted The Migration Series. He did so with the help of his wife Gwendolyn Knight, who assisted in prepping the boards and writing captions.